The Northern Irish actor stars in the action-thriller opposite ‘Gray’s Anatomy’ and ‘13 Reasons Why’ star Kate Walsh. 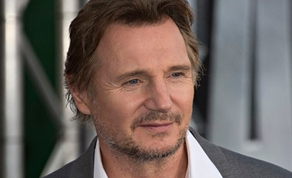 ‘Honest Thief’ follows a bank robber (Neeson) who attempts to turn himself in after falling in love with a woman (Walsh) who works at a storage facility where he has stashed his thefts. However, the situation gets out of hand when his case is taken on by a corrupt FBI agent. Mark Williams (‘Ozark’) will direct the project written by Steve Allrich. Williams is also producing the project alonside Craig Chapman, Tai Duncan and Myles Nestel of Solution Entertainment Group. Neeson stars in Oscar winning director, Steve McQueen’s latest film ‘Widows’ which premiered at Toronto International Film Festival in September. The Ballymena native is also in the Coen Brothers’ western ‘The Ballad of Buster Scruggs’ and Irish feature film ‘Normal People’ directed by Lisa Barros D’Sa. Shooting is due to begin on ‘Honest Thief’ in November.